Is your hard drive troubled? • Have you lost data? We have searched the planet…Our Data Recovery Services are handled by the Leading Data File Recovery and Disk Disaster Recovery Service Provider in the world. And we are proud to offer the most cost-effective and efficient professional data recovery services in the industry. Our recovery experts have the most experienced data recovery technicians available. They have helped thousands of panicked customers recover their lost files. Whether your failed drive is suffering from a logical corruption or a mechanical failure, we provide innovative data recovery tools, techniques, and CLASS-100 Clean Room will help you get your data back at a price you can afford. MOST IMPORTANTLY: There is never an up-front charge, evaluation or diagnostic fees… even if your drive requires a clean room or invasive recovery. Our data recovery partner technicians will do everything possible to get your data back and won’t charge you a penny unless they’re successful! Simple, straight-forward and accurate price quotes. No deceptive pricing, multiple thousand dollar price ranges, or bait and switch quotes like many of the competitors. Online price quotes. Simply fill out our online quote form. No up-front payments or payment information required. Free evaluation, recovery attempt, and listing of recovered files prior to paying service fees. All data recovery center employees are background checked, screened, and trained to protect your privacy. Your satisfaction is completely guaranteed by allowing you to see what files can be recovered before ever paying a single penny. Have you lost access to important personal or business critical data? 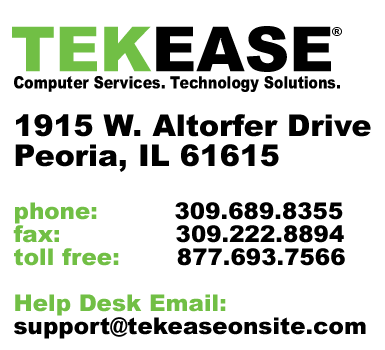 TEKEASE through a special agreement with DriveSavers Data Recovery Inc., can provide you with a fast, reliable and secure solution to your data loss problem at a special discounted price. DriveSavers verifies their qualifications to support businesses and government agencies who must comply with data privacy and security regulations by posting the results of their annual SAS 70 II audit reports on their website. DriveSavers is also an approved GSA contractor. Choose from a variety of services options, including enterprise-class recoveries, Forensics and High Security Service. Click the banner to the left for details. Protecting the security of your personal and confidential data is our top priority. DriveSavers has set the standards for data security in the data recovery industry. Watch this video to learn about their security protocols and why we use them to recover critical business data for our customers. See how a hard drive works and how it fails! DriveSaver® was created to simulate a working hard drive. Click anywhere on the menu tabs and you will see (and hear) symptoms of the most common drive failures. Have some fun … crash a hard drive! Get smart … learn some important tips on how to prevent data loss.